Item is a photograph of two people lifting the cover on a well in Halifax's Africville neighborhood. The well has a sign that says "Please boil this water before drinking and cooking." 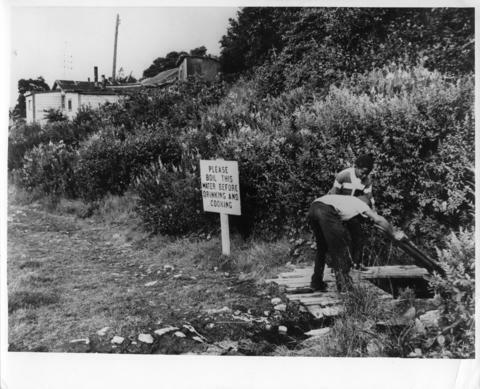 The photograph was used in Donald Clairmont's "Africville Relocation Report" ("The Wells" pg. 3-24).